Sports and money are synonyms to each other in todays world, Manny Pacquiao and Mayweather will become the highest paid athletes of 2015 after their 2 May fight in Las Vegas with both fighters expected to clear over $100 million each while Floyd Mayweather might come close to $180 million in just 1 fight. Lebron James, Kevin Durant, Cristiano Ronaldo and Lionel Messi make around $25 million a year from their endorsement deals with Nike or Adidas. SkySports will be spending over $8 billion to get the rights of Premier League for the next three years. These are just a few insane examples of how money has overtaken sports industry. So its only normal to think that if sports brands like Nike, Adidas, SkySports etc are spending such huge sums of money their must be big revenue rewards in return. 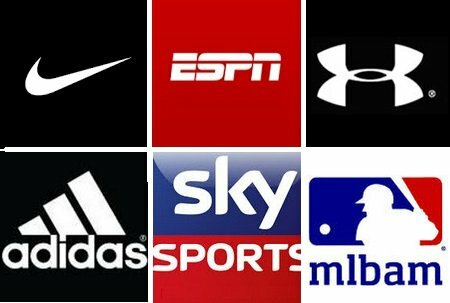 Today we take a look at some of the biggest sports brands and competitions in the world in terms of revenue. Nike is an america sports brands which has grown enormously after taking over 65% market share in sports industry in America they have penetrated in european and world sports market as well in the past decade or so. Nike sites in the top 25 most valuable brands over all with yearly revenue of around $27 billion a year. Nike has massive market share in pretty much every sports industry from Golf to Tennis, NBA to NFL, Football to cricket. They design, produce clothing for professional sports teams plus shoes for all major sports. Nike is by far the biggest sports brand in the world. Germany sports apparel and sports accessories company, Adidas is close competitor to Nike in the industry and these two brands have been playing cat and mouse for the best part of last 20 years. Adidas not has a fair market share in america sports as well after dominating european sports industry. 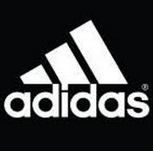 Adidas are the official FIFA world Cup brand for last 30 year. ESPN is widely regarded as the world wide leader in sports media industry, launched back in 1979 in USA ESPN quickly made themselves the benchmark for years to come and still going strong. 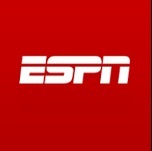 ESPN covers all major sports in United States and in the last couple of decades they have gone global with affiliate networks working in South America, South Asia, India Australia and Europe. British Sky network is the by far the biggest tv media network not only in United Kingdom and europe but in the world. SkySports have a massive market share in UK media and advertising and recent Premier League broadcasting rights sale shows how significant SkySports are in english football. 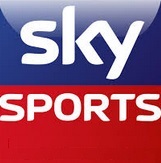 Sky just like ESPN has gone global with affiliates networks working in Australia, New Zealand, India, Germany and Italy. Unlike NIKE And Adidas, Under Armour are pretty new to the sports equipment industry but they have quickly made a name for themselves producing some unique and next generations sports gear. Rapidly growing in United States, Under Armour are begging to expand their operations in some major European countries as well. So these are the top 5 biggest Sports brands in terms of yearly revenue and market cap, there are few other big revenue generating brands like YES (regional sports network in USA), MLBAM is a sports internet & media company which is developed for Major league Baseball tv, internet and advance technology such as onling streaming and has grown rapidly with $700 million revenue in 2014.